At the North-West University, the department of Microbiology takes pride in their involvement in water quality. A workshop was held on 25 March 2017. Students and lecturers involved in water related research took part at the workshop pertaining to understanding the bigger picture and the ripples that their research would have. Professor Carlos Bezuidenhout, a passionate YWP supporter, organized the event and spoke on how the research of student would one day help communities in the North West Province. Roelof Coertze, a representative of the YWP North West Chapter committee was present at the workshop. The opportunity was used to present the advantages of involvement and membership at YWP and WISA. A short presentation regarding the involvement of YWP in the community and industrial water sector was given. Since a large group of young water related researchers were together, the opportunity was greatly appreciated. Various followup questions from the students were answered. The most passionate question was from the older students who were jokingly hoping to join YWP with disregard to their age. In the future we will see these students' involvement and impact of their research in the water sector. 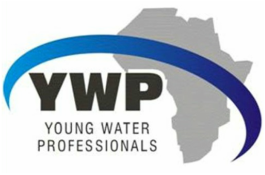 The North West Chapter of the Young Water Professionals was announced on 23 July 2016 at the North-West University Botanical Gardens. It was a successful day, filled with enthusiasm, participation and fun. Guests were greeted in the morning with nice hot cup of tea or coffee, also allowing the opportunity to chat to fellow water enthusiasts. The day was filled with various presentations regarding networking, committee involvement and water as a resource. Professor Nico Smit, Director of the School for Environmental Sciences and Management at the North-West University, spoke about a newly implemented Management Program. Prof Smit is was a very welcome guest at the launch since his selfless support of the YWP in unparalleled. The event guest speaker, Dr. Henry Roman, enlightened us with the topic of water in our everyday lives. It was a great honor, considering he was a past YWP member. Our first Chair for the North West Chapter spoke on behalf of the committee, providing a general overview and introduction to the North West Chapter committee members. The current Chair of the National Committee, Nora Hanke, also gave a presentation about the responsibilities and involvements of the National Committee. One could feel the passion and enthusiasm that the she has for her position, truly inspiring! The day ended with a tasty lunch and the participation of water related games, which was thoroughly enjoyed by all. Participants joined in shooting water bottles with water guns, milking a latex glove, water-pong, blindfolded water distribution and staking of cans on a water platform. All games were in the effort to break the ice and get the networking going, also a little friendly competition never hurt anybody! The day taught us that there are people in the North-West willing to make a difference in the water sector. As long as we keep striving to a better tomorrow, there is no reason why we should allow others to give up on a sustainable future.